Everyone loves free software, and it’s less about principles and more about the practicality of not having to take out the credit card. So what great software packages are people willing to pay for? Yesterday I asked my Twitter followers what the most expensive software they ever purchased out of their own pockets (versus pirated or expensed at work). While many of the 127 responses weren’t surprising (like ~$315 Microsoft Office and ~$110 Mac OS X Leopard), some old-school names I haven’t heard in years came up (like OS/2), a few people mentioned games (like WoW and ~$30 Half-Life) and speech-to-text apps (like ~$160 MacSpeech Dictate and ~$50 Dragon NaturallySpeaking). By far, the packages people plunked down their hard-earned cash for most are creative tools (like ~$1,300 Final Cut Pro and ~$1,600 Adobe Creative Suite*). In fact, various versions of Adobe Creative Suite took the prize for the most-paid-for-out-of-pocket application (22 mentions), with Leopard and Microsoft Office not-so-close seconds (14 and 12). Photoshop (which comes with Creative Suite) was third (11 mentions), with Windows Vista and Final Cut (Express, Studio, and Pro versions) bringing up the rear (10 and 9 mentions, respectively). Here are all the public replies to the question I posed on Twitter. GWJRabbit says: Adobe CS, followed by Dragon Naturally Speaking I’m guessing. jordoncooper says: I think it may have been OS/2 2.x or WordPerfect. soul4real says: Camtasia Studio 5 educational version. Totally worth it for a teacher. Brad_Isaac says: Dragon Naturally Speaking (pro edition). Ouch! andreascliment says: Leopard and Final Cut Express, not sure which was more expensive. charliepark says: TextMate, I think. If wrapping company-purchased software into the equation, Photoshop / InDesign. BonGeek says: Leopard n Vista n Expeession Studio. guze says: Adobe Master Collection of their tools, Photoshop, Illustrator, etc etc… roughly $2500. wabbit42 says: Adobe Design Suite CS3 Student Edition. Â£250 (ish) + sending a pic of photo student ID for license! rdyson says: probably Leopard, but there was a Borland C++ program I bought for a HS class that was up there too. brendankoerner says: BASIC for my Mac 512e (circa 1986). smackaysmith says: Final Cut. $1k, I believe. charlesjbarry says: Vista, but I got an OEM Ultimate x64 only version which ran me very little comparatively. It was worth it. halophoenix says: Yeah, that would have to be Vista for me, too. Ultimate x64. I don’t mind – just that 7 looks good enough to buy, too. stevenpaulr says: if you include subscription Fees: WoW. bddemir says: mac os x leopard for $99.59 probably that’s the highest amount I’ve paid for software. next is textmate with â‚¬39 (~$53) tag. Theodosia says: — Adobe Master Collection CS3, but it was with a student discount and for quite a few classes, but still $600+. Penguirl says: CS2, with discount for owning Photoshop 7 it was still about $400, no student discount or tax write off. nirvank says: what’s left if not expensed or pirated? 😉 MSDN account, count? Though that’s for the company. Rosetta Stone, I guess. leonieke says: hmm .. has to be Leopard too. jtwilkins says: Leopard + iWork + iLife pack. felizcumplevale says: I’ve actually never payed for software. gdarklighter says: Lightroom and Leopard, I think. davidstamm says: I paid $30 for Scooter Software’s Beyond Compare. Best visual diff tool in the universe. AmpCoder says: Office Ultimate 2007, from the Ultimate Steal promotion. tournevis says: Leopard. I think Filemaker7. Not sure if I actually paid for the latter or was paid for me. earth2marsh says: Most expensive out-of-my-pocket software includes Lightroom, MS Office, and XP. Falchion says: that’s easy. I just bought it yesterday: Ableton Live 8 Suite. sunilsebastian says: Adobe Design Premium CS4. Wallet still smarting. maryshaw says: Adobe CS4 web premium. Wallet still crying. mwrather says: Most expensive software purchase? Final Cut Studio, no question. Even with the academic discount, it easily edged out CS3. brentajones says: Adobe Creative Suite, easily. TrevorBramble says: I think I paid $50 for Red Hat Linux (v5 or 6) back in the day, just to support the cause. codeblue315 says: Vista for sure. jeruvin says: OS/2 Warp. I think I paid like $250+ for the version with Win 3.x included in it. jimjfletcher says: XP Professional… I was lucky enough to score a copy of Vista Ultimate for free last year. tamarin2087 says: XP Pro. I think its the only ting I’ve ever paid for with my own $ that wasn’t subsidized by a school or an employer. rauscha says: Microsoft Office 2007 Student and teacher edition. Wanted it for the OneNote 2007. I get everything else through site licenses. Cbanach says: definitely has to be Final Cut Studio 2. . .
norageddon says: Last big software purchase was XP Pro. MassiveFailure says: I don’t spend much on software but I would have to say the Macheist bundle. Considering what it comes with it was a bargain. siancu says: Parallels and Leopard. racheldonovan says: in the past 5 years I don’t think I have purchased any personal software, although I do have some iphone apps. Answer= mlb2009? dyril says: Vista. I boot into it twice a year. Would love to trade my key for a Win7 one. rosko says: Does the cumulative monthly for WoW count? I’m sure it’s a scary number. jonesclp says: spent $60,000 a year for Nielsen survey software MEMRI. EricsProjects says: Windows 2000, full edition. Still using it too. brawr says: Half-Life 2. I’ve bought that game like three times, I’ve probably spent about $120 on it. serenium says: Leopard for me too, or a boxed copy of SuSE Professional I bought years ago, when my connection was too slow to download it. Neil_Hinkle says: Office Professional suite 2003! amdz says: Believe me or not, I’ve never paid for a software! All are cracked and illegal ones. There is no limitation here! ripleybsx says: Logic Studio… I will admit I bought it secondhand, but I still paid over $200 for it. One of the best buys I ever made. botykai_zsolt says: http://www.whereisit-soft.com/ ‘s catalog manager. And several other in the 30-50 $ range. But it’s the best at price/value. GeoAggie says: I paid over $500 once (way too much) for MS Off 2003. I later paid $45 for Off-07 through employee pricing, 2.5 yrs later..
logicgeek says: Photoshop CS – though upgrade pricing dulls the pain on subsequent versions. graphei10 says: microsoft office for mac. barleyguy says: Mine was Cool Edit Pro, and then Adobe Audition. They are multitrack audio software. Cool Edit Pro was about $350 at the time. Stefano_TT says: MS OfficePro Win3.11 & WinXP; current setup of my Acer netbook is all OpenSource Portable SW except genuine WinXP Home. bill_clark says: The most expensive software I’ve paid for is probably Vista as well. Glad I got Office 2007 Enterprise for $25 through SA/HUP. jsmorley says: – Photoshop CS4… Most expensive. * I grabbed price info where I could from Amazon, but obviously prices vary depending on when, what version, and with what discount you’re purchasing. Thanks to everyone who offered their input! Here’s more on why and how I’m using Twitter to run surveys like this. 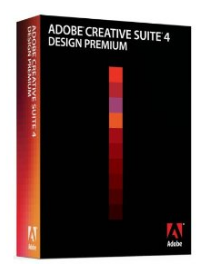 That would be $ 4000….a lot more than Adobe Creative Suite. SAAS count? $36k. Otherwise PhotoShop for $300 – $400.